My next step was to put all of our uncompromised food into ant proof containers that didn’t break the bank. The current version of organizing everything in their original bags in plastic bins was far from pantry ant and moth proof. Not to mention, organizing the pantry this way leads to Out of Sight Out of Mind Disease. 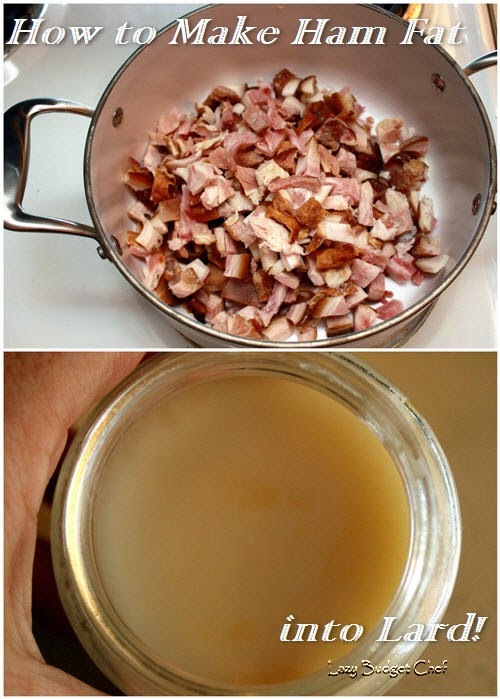 Taking my lead from my post How to Keep Brown Sugar Soft I started saving and reusing empty glass jars to store food in the kitchen and pantry. This project took several months because I did it as empty jars and time permitted. It also allowed me find out what was working size and storage wise and what was not. Glass jars are my first choice because they don’t stain or absorb odors like plastic jars but sometimes size and being a big plastic storage container wins. 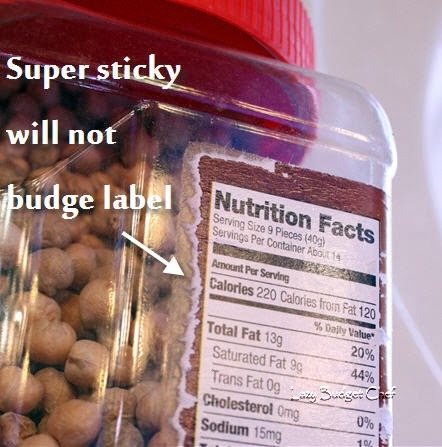 Read my 7 Ways to Remove Sticky Jar Labels here. Not only did I keep ant and moths out of our food but to my surprise I learned I can fit more food into my kitchen cupboards, not less if I store it in a glass jar. Food stays fresher and doesn’t dry out. Who knew? Probably you because you are more savvy than I am. This was forehead slapping news to me. 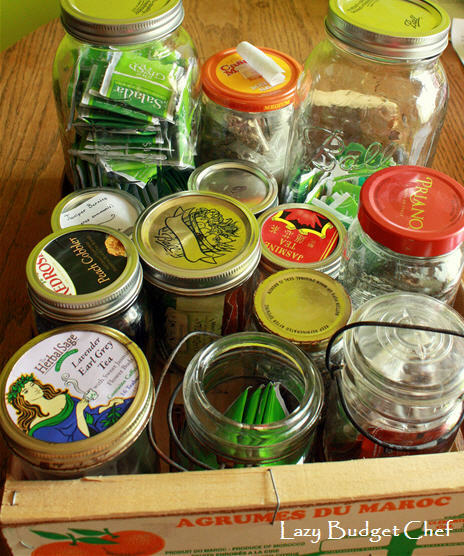 I can cram fit all of my tiny tea collection into one storage space if I put the tea bag envelopes into separate jars rather than having everything split between two room in the house! Eventually everything in the kitchen food cupboard, pantry, and overflow in the utility room got an overhaul. Graduated canisters don’t hold an entire bag flour but have a smaller shelf footprint than the lovely Anchor Hocking jars I like. I ended comprising a little when it came to baking staples storage. I bought 12 Ball half gallon glass Mason jars from Amazon to use as kitchen canisters. A four pound bag of sugar fits perfectly. For five pound bags of flour and dry goods, I store the extra in a quart Mason jar and use it first. I lucked out and found two huge glass storage jars filled with coffee beans at Marshalls on mega clearance (similar to the Bormioli Fido Clear Canning Jar on Amazon I planned to buy from Amazon) that fit two boxes of pasta and some change. I also bought several Oggi Pasta Canisters for noodles because they are oblong and have a smaller footprint than round pasta containers. Lastly, I bought a few Anchor Hocking 1 gallon and 2 quart cracker jars for the rest. 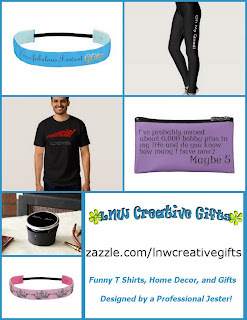 I included affiliate links to all of my sources for your convenience. Thank you for your support and keeping Lazy Budget Chef running! Toward the end of the project I fulfilled our nutty dream of storing all of our food our the small kitchen by making an industrial farmhouse style pantry from a metal shelving unit we had. I try to use the pretty Mason jars for display storage here to make it look purposeful and decorative. I was concerned sunlight might degrade the quality of food but that hasn’t been the case. Since we can easily see it. We eat it before could degrade in the sun. I learned it is better for me to take 2 seconds and label something to skip spend a half an hour searching for it later. I knew I needed a flexible labeling system to keep the kitchen organized. I’m organized because I’m too lazy to hunt for stuff. I printed pretty labels for our permanent baking staples that like using a business card template in Word. These are the containers I have to hand wash anyway so I didn’t look for water proof labels although I’m sure they exist. We always have dried beans on hand but the type changes. I repurposed the chalkboard labels from the pantry on empty bulk spice containers and labeled them with chalkboard markers because chalkboard makers don’t smear or erase as easily as regular chalk. For the many ingredients we rotate in and out, I label them the lazy way by cutting the label from the food package and taping it to the top or front of the jar. I cut out and tape special cooking instructions to the back of the jar. Then there some items I don’t label at all when it is obvious what is in the jar like pastas, nuts, and teabags. All of our food fits into the small kitchen now that it is in a storage jar. 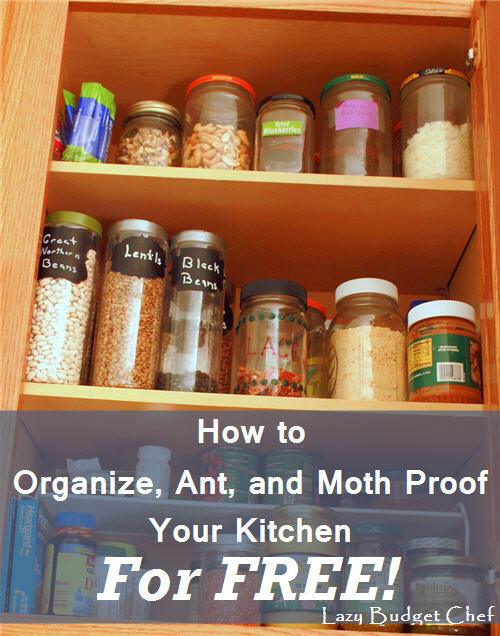 It keeps the pantry and kitchen ant and moth proof. It also unexpectantly saves money because things don’t dry out. 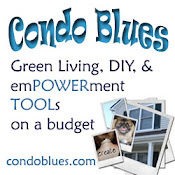 Having everything in one place and in plain sight helps us with our Out of Sight Out of Mind Disease which sometimes leads to overbuying by mistake.